“Fix my kid.” is a set up for failure. The kid is not broken, the system is broken and parents need support to rebuild the system. 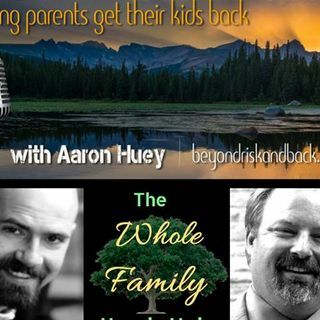 Join Kevin Petersen and Aaron Huey of Firemountain Residential Treatment Programs as they discuss what "fix my kid" actually is about. Kevin Petersen, MA, LMFT was born and raised in Palo Alto, CA. Kevin graduated from Palo Alto High School and enrolled at The University of Southern California in 1982. After living in the south of Spain and working on a ... Más informaciones farm as a tractor driver in 1983, he came back to USC and graduated in 1994 with a degree in Social Sciences and moved to Denver, CO in 1995. Kevin had a successful career in sales and marketing and then in 2008 he enrolled in the Masters of Marriage and Family Therapy program at Regis University and was part of the first class that graduated from that program in 2011. He then spent three and a half years working at Arapahoe Douglas Mental Health Network as an in home therapist, case manager, crisis evaluator and outpatient therapist for Child and Family Services, he also worked part time for The Bridge House, ADMHN’s Acute Treatment Unit, as a Mental Health Technician and Counselor. Kevin opened his private practice, Petersen Family Counseling, in 2014 and specializes in working with families and individuals struggling with addictions, codependency, and parenting.